According to the calendar winter starts in December. 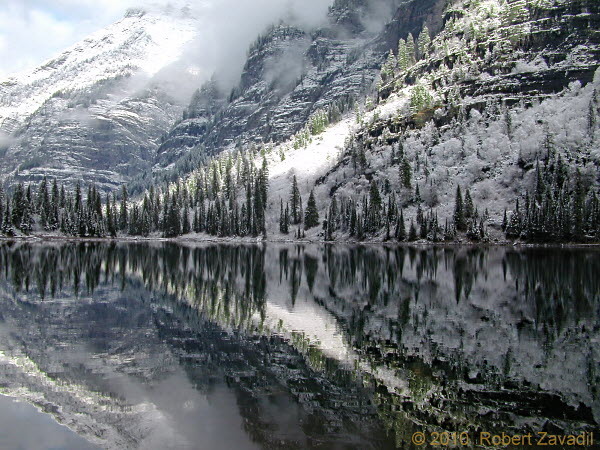 However, in Glacier Park it starts in October as the first snows of the winter season begin to cover the mountainsides. Here the results of the first snow are seen across Avalanche Lake. The following week ice began to form on the lake. First Snow is no longer available for sale.